Starting a business with a partner can be an ideal option. Not only will you have someone who can take part in managing the business, you will also have someone to split the amount needed to invest in the business. It is important to have someone you can agree on most things; having someone who agrees with everything is just like having an exact duplicate of yourself and having someone who disagrees with literally anything that you have to say is just frustrating and never healthy. As they say, too much of anything is never good. Regardless of the nature and status of the relationship you have with your business partner, you have no assurance of always having a good and healthy relationship. In business, you can never be sure of how things will go; the relationship you share with your business partner may have started out well but it could also turn sour in an instant. It is not an uncommon occurrence to have relationships broken and forgotten in business; families have been the most common example for this. Therefore, you have to do measures to help protect your business interests and that of the business itself. But what can you do? How can you protect your right as a partner for the business? If you plan to embark on a new journey that is business, and you want to start it with someone you are comfortable with, you need to make sure your interests and rights are protected should a dispute between you and your partner arise. That is not being selfish or being blatantly disrespectful, it doesn’t mean that you don’t trust your business partner enough; it is just a precautionary measure that protects your investments not only financially but also the effort, time, and sacrifices that you had to do to make the business happen. 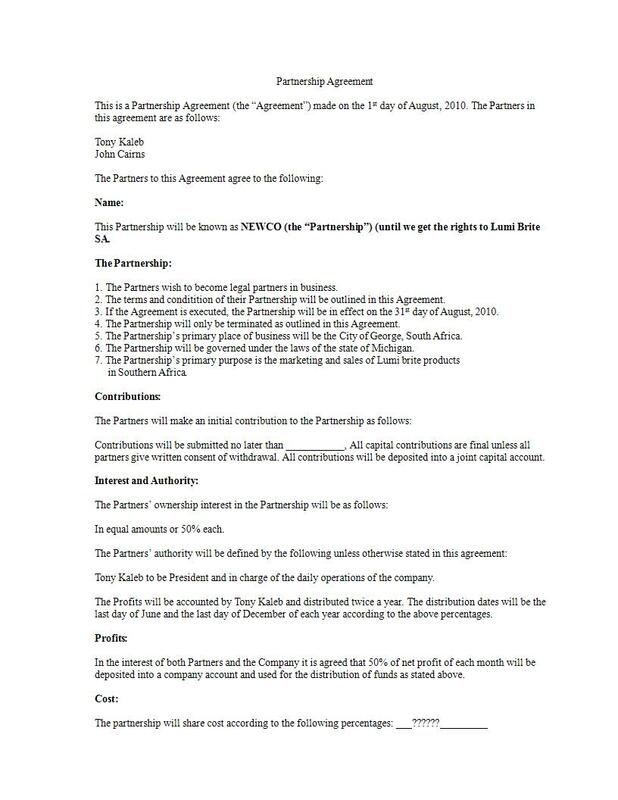 A partnership agreement is a written document between the two or more individuals coming together to form and carry a for-profit business. 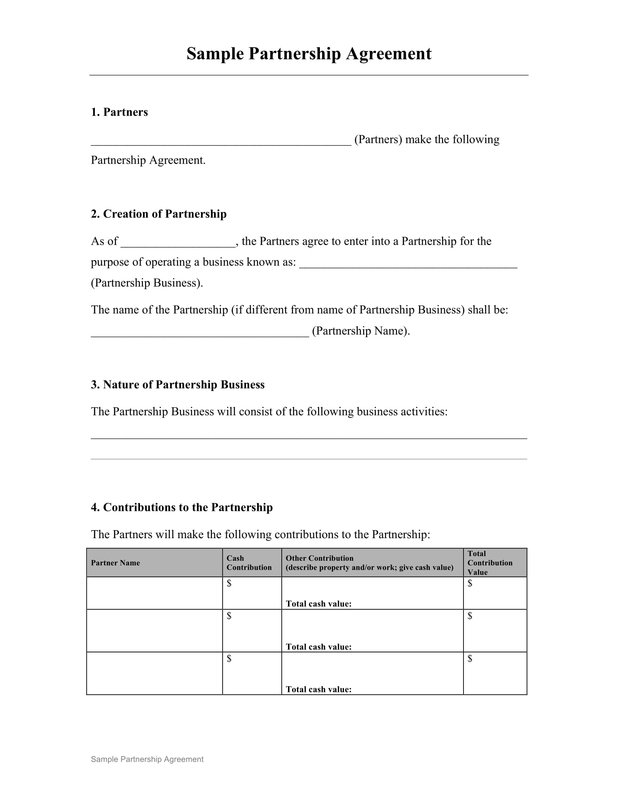 It helps set out the terms and conditions of the relationship between the business partners. It contains what the business partners have agreed on in terms of ownership, authority, contribution, and so on. It explicitly details all the the relevant information regarding the partnership and the business. It defines how partners will manage the business together, what they must invest in the business, and how they will be paid. In addition, it should also cover all the possible business situations that could arise during the entire partnership such as adding new partners or partners leaving or bankruptcy. Since partnerships are business structures that not a separate legal entity like that of a company, it holds each partner responsible for the actions and decisions of the other. Simply put, what your partner does or doesn’t do will still be your cargo; when you are in a partnership you are both liable for the actions your individual and partner’s actions. The agreement helps enforce and lay out the terms and conditions that both you and your partner agree on. It helps define the set of rules and regulations that not only will you need to follow but also define what aspects or where your authority only take you. 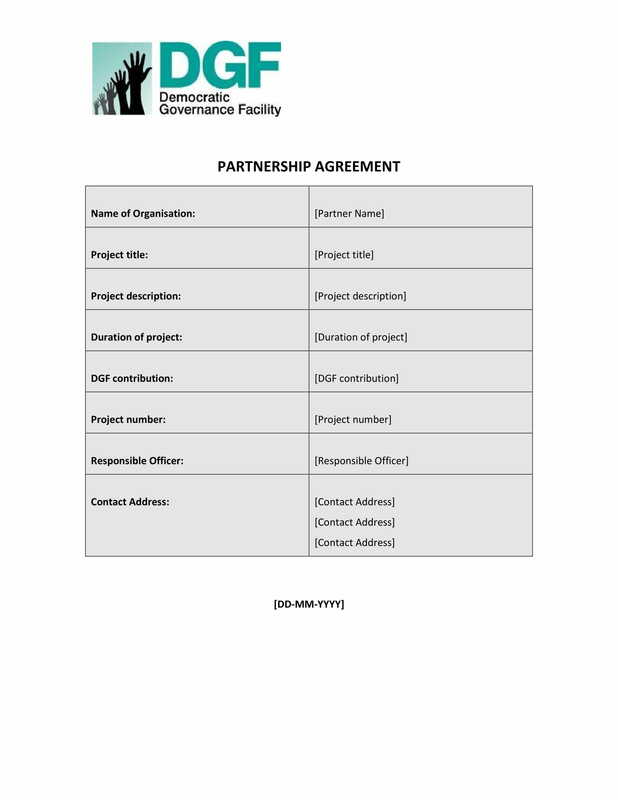 In other words, it help set the boundaries for the partnership. It is a very important document that needs to be looked into ahead of time. 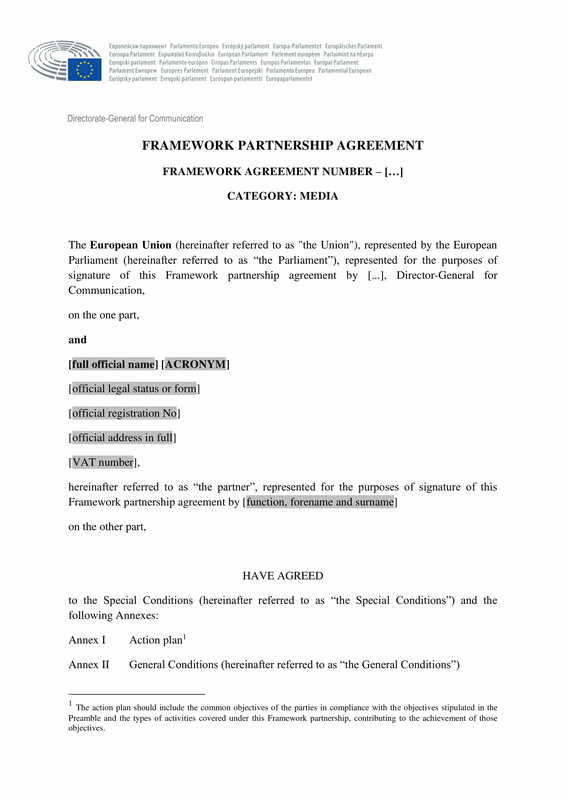 It is advised to have a lawyer to look into the definition of the terms and agreements so when dispute arise you can easily refer to the agreement you have both signed. The consequences for an unclear partnership agreement can be crucial to the life of your business as well as to the relationship you have with your partner. This is the first point to consider because it is also the most critical one. You need to know and feel if you trust the person you are entering into a partnership agreement with them. You can’t just dive head first to a partnership when you know in your gut that you just don’t have trust for the person. The bottom line is, do you you trust this person enough to let him have a say on your bank account? If the answer to that question is “no,” you need to rethink about that decision. In a partnership, every dollar you both spend proportionately can affect your personal bank account. If the person you are considering to be your business partner is a good friend, you need to ensure that their goals, values, and responsibilities are aligned with yours. Just because you get along fine does not mean they value and see you as an important friend; heck, even close friends fall apart. You need to take a closer look at their personal life since personal problems can directly or indirectly affect their professional life. If you have doubts about the outlook and the overall attitude of the person you are considering, it would be best not to push through with the partnership. 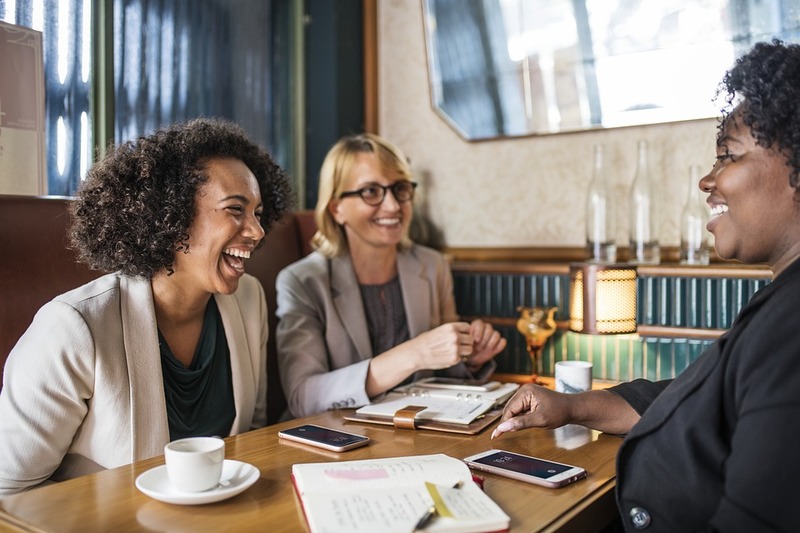 It is best to choose an individual you have had the chance to work with or has had previous work experiences related but not limited to the nature of business you have in mind. You should know if they are a team player and how they handle and react to difficult situations. However, if you don’t have prior working experience with the person, it is better to have a short-term trial run to see if you have compatibility with each other before finalizing the partnership. A trial run will help you get to know the person better and know what they are like professionally and if they have the work ethic you find good for the business. Just because you admire the work ethic, attitude, and skills of a person but can’t afford to hire them for your business that you automatically establish a business partnership with them. If that is the main reason why you consider them as you business partner, it is better to hire them as a consultant rather than give away a part of your company. There is a big possibility that you find out that he/she is not a good partner for you later. Distinguish if you want them to be a part of your company as an employee, consultant, or a partner before you sign that partnership agreement. It is best to have a partner that has a different strength from you; if your strength is in marketing, your partner should be best in management and/or sales. If both of you have the same strengths, you will have a challenging time managing your business since both you have the same focus. When choosing or considering a partner, it is best to look for someone who compliments your strengths. You need to have a balance between what you are good at in order for your business to grow profitably. Before you even dive into a partnership, you both need to agree upfront on what your responsibilities in the company will be, what role you need focus on, and what obligations you need to comply. This will help you find your main focus and will help both of you stick to those agreed responsibilities. A partnership will become shaky and unhealthy if one does not know where his/her focus should lie. If one keeps on trying to take over and ends up doing everything or the other way around, it will affect the relationship between you and your partner; feelings of resentment will then fester the partnership. Just like in any relationship, money will always be one of the major problems in a business partnership. Both of you will have to spend money for your personal bank accounts just to kick-start the business, thus, it will obviously be a sensitive topic. It can make the partnership weak and prone to disagreements especially if there was no agreement on what to do about the said matter beforehand. Therefore, both of you should agree how will the funding you have raised be used and how the profits will be distributed in the beginning of the partnership. Even though you would want a partnership to end abruptly, there will always be possibilities of that happening especially there was no set of rules and the terms and conditions were not properly handled. Therefore, you have to prepare for these certain circumstances. You both need to decide on a formula on how to determine the value of the company should one partner decide to end the partnership. Deciding on this beforehand will not only avoid you from additional hassle, it will also let avoid further disagreements. A useful way of discussing these difficult possibilities and decide how to handle them before they even occur will be through a buy/sell agreement. Why Make a Partnership Agreement? 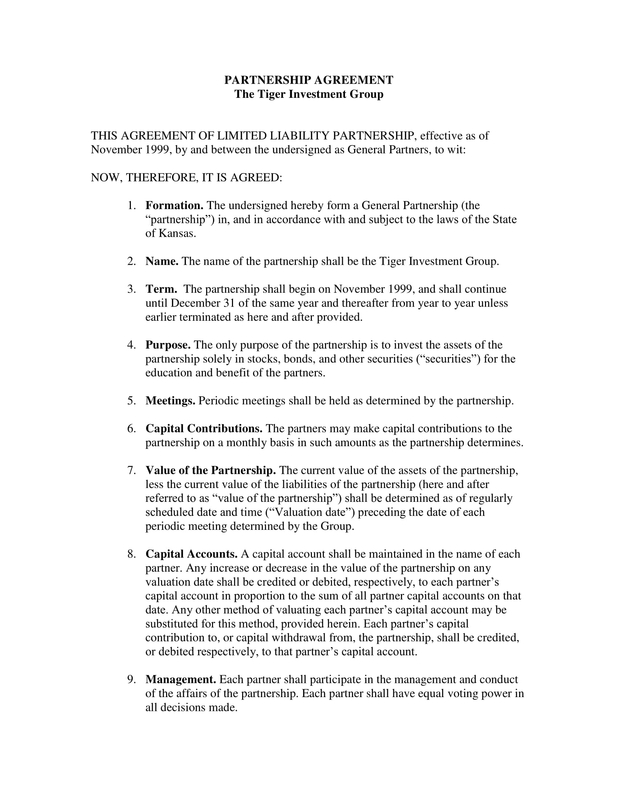 Some states require for a written partnership agreement; if you are not able to provide you will find yourself having to abide by state default laws. For example, in California, for an LLC it is the Revised Uniform Limited Liability Company Act, the General Corporation Law for a corporation, and the Uniform Partnership Act for a general partnership. In order to avoid these laws to be applied on your company, however small or subtle they are, you need to be able to provide a partnership agreement. 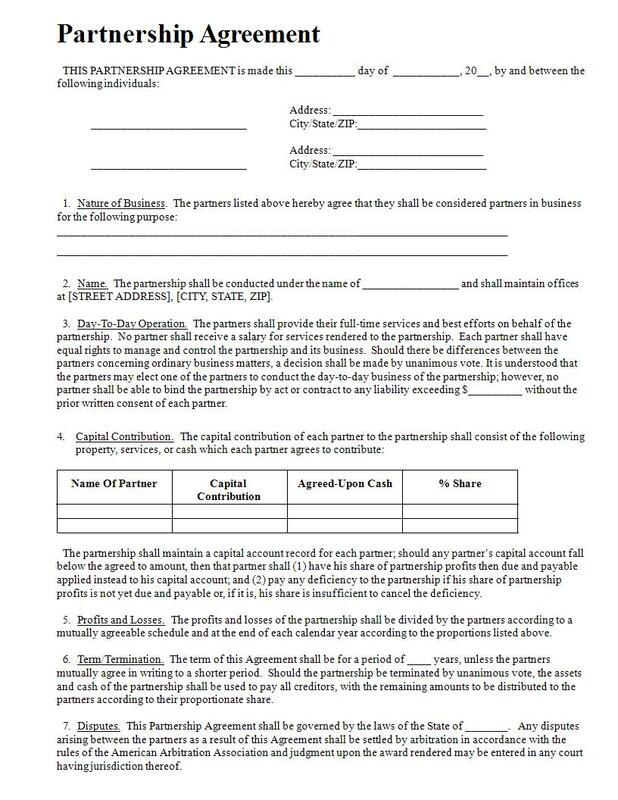 If you need and want more control over your business, your partnership agreement will do the trick. It will allow both of you to vary the rules when situations dictate that it would be in your best interests. 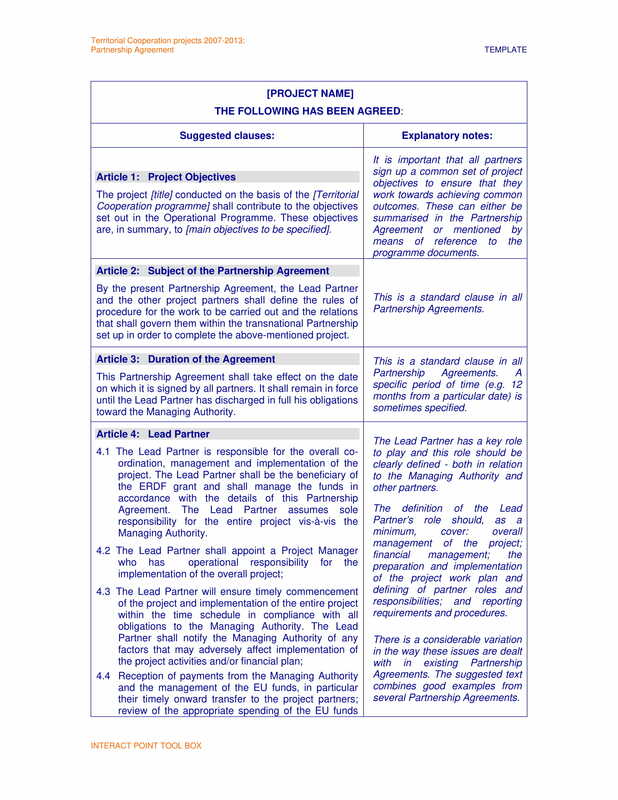 A partnership agreement should be properly drafted to ensure that provisions on difficult scenarios can be addressed. It should be able to include reasonable restrictions when it comes to the sale and transfer of the interests one partner has in order to control who owns the company. Provisions regarding when, how, and to whom the interests of one partner can be sold to should be clearly determined in the agreement. It should also address what happens upon the death or disability of a partner in order to avoid the uncertainty that comes with working with the spouse or other family members of the deceased or disabled partner. 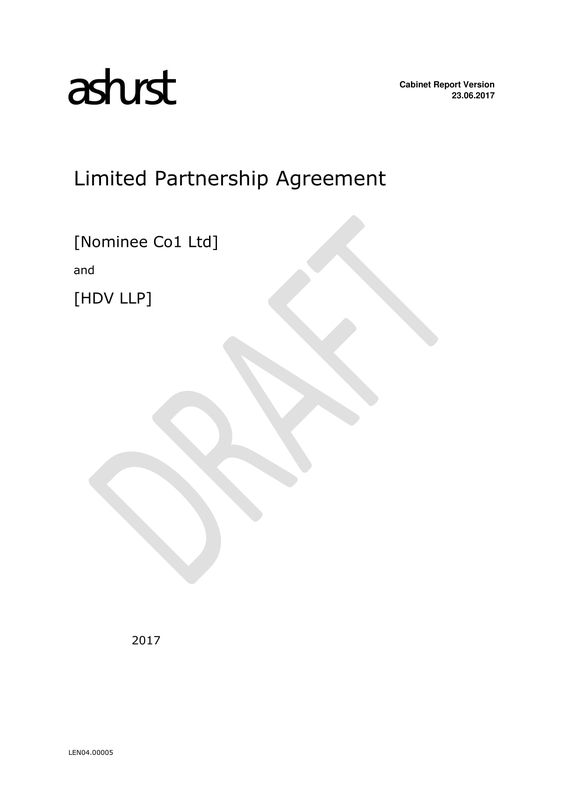 A partnership agreement with the proper provisions can enable existing partners to retain their percentage stake in the business as well as protect them from the uncertainty of working with unwelcome new partners. Since the agreement basically has everything you have agreed upon as partners on the get-go, it allows you as partners to agree on important decisions in advance, for example how to handle future disputes. How to handle disputes should be a priority provision when you draft your partnership agreement since it will become your basis or reference should the situation arise. 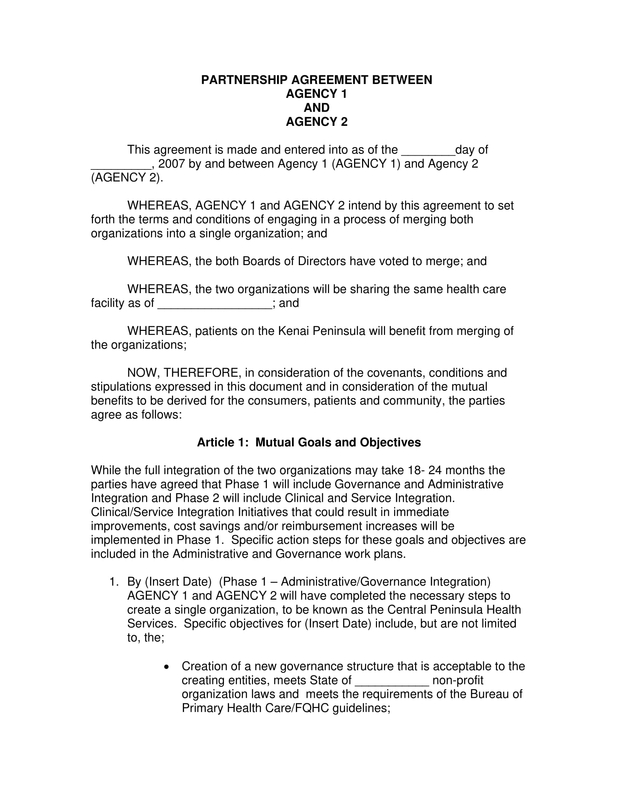 A partnership agreement will allow both or all of you to have a dispute resolution provision that requires mediation followed by binding arbitration. There is no way to enforce mediation or arbitration of disputes and no way to avoid costly and time-consuming prosecution if that provision is not put into writing. A partnership agreement will allow both or all of the owners to have a say on removing disruptive or non-performing partners if a provision regarding this matter is included on the agreement. People often start a business with the best intentions, but reality often does agree with those intentions. Instances or actions made by other partners can cause the endangerment of the business. For example, when a partner pledges to contribute sweat equity in the form of specialized skills in exchange for a piece of the company, but more often than not, is not as incentivized as those who contribute cash as well as effort. This may tempt the partner to stop working for the company or even work for a competitor. In that case, other partners will want to remove him/her and the partnership agreement will allow them to do that if a provision regarding the process is included. Circumstance such as a partner’s death, disability, or personal bankruptcy can have a negative impact on the company. Therefore, you need to make sure you know what to do in case these situation occur. A partnership agreement will allow all the partners to agree on what to do regarding such situations; it will help the owners avoid having to be forced to dissolve the company in order to avoid putting at risk the investments of all of the partners. Putting these provisions in the agreement can add predictability and stability when they are most needed. 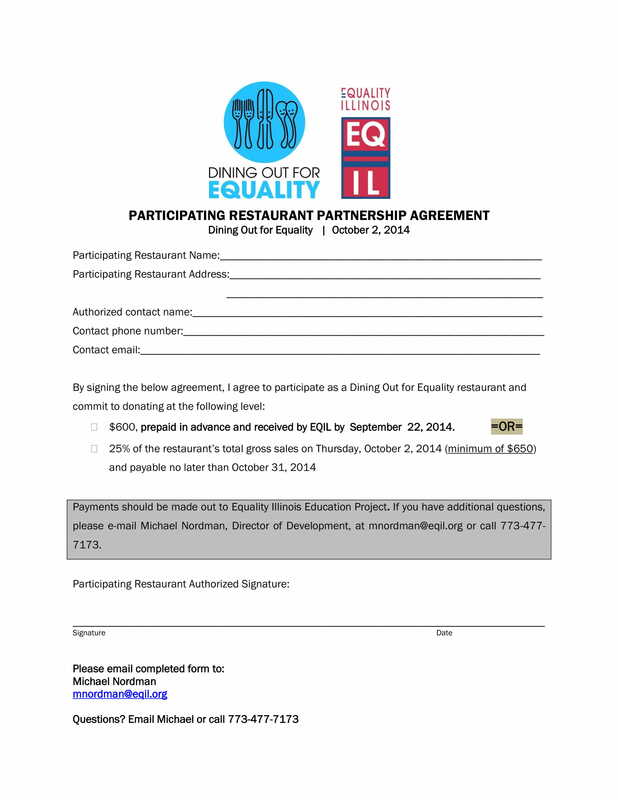 In addition, a partnership agreement can also help address the issue on competition and confidentiality. It can help them prevent previous partners from sharing confidential information or joining and/or seeking employment with a competitor. 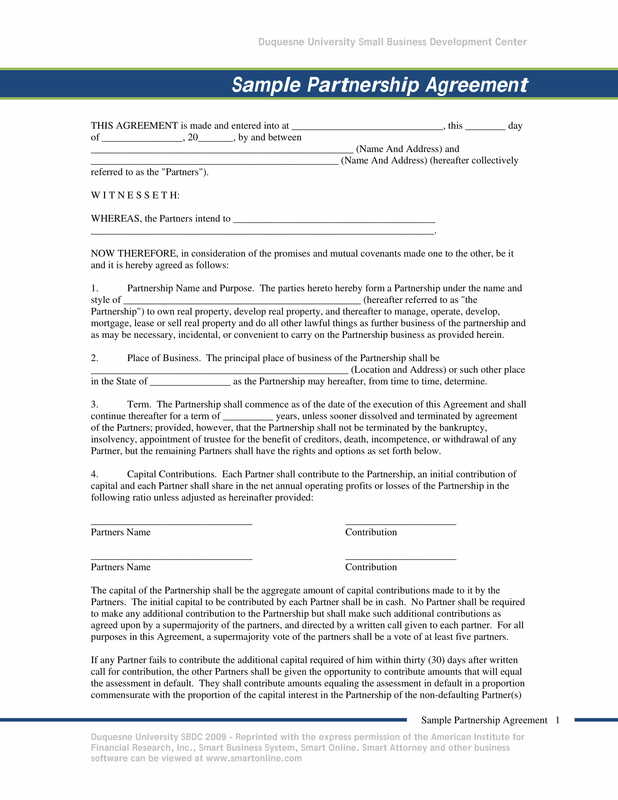 A written partnership agreement allows the protection of the minority partners. If it has that note, the “tag along” provision protect the minority partners in cases of a third-party buyout. For example, if a majority partner sells his/her interests to a third party, the minority partner has the right to become part of the transaction and sell her interests on similar terms. This can benefit the minority partner in the sense that he/she can avoid working for and with unwanted new partner/s. This provision will also guarantee that all partners will gain similar buyout offers and helps protect minority partners from being forced to accept much less interesting offers. An addition to the previous reason, it also protects the majority partners. In case of a third-party buyout, a “drag along” provision will force the minority partners to sell their shares as well. If the majority partner decides to sell his/her share to a third-party company, the minority partner must either be part of the transaction and sell their shares as well or purchase the shares of the majority partner on similar terms. This can help the majority partner to avoid remaining in business simply because the minority partner does not want to sell. The majority owner can take advantage of a fair offer in case of a buyout even it is against what a minority partner would want. 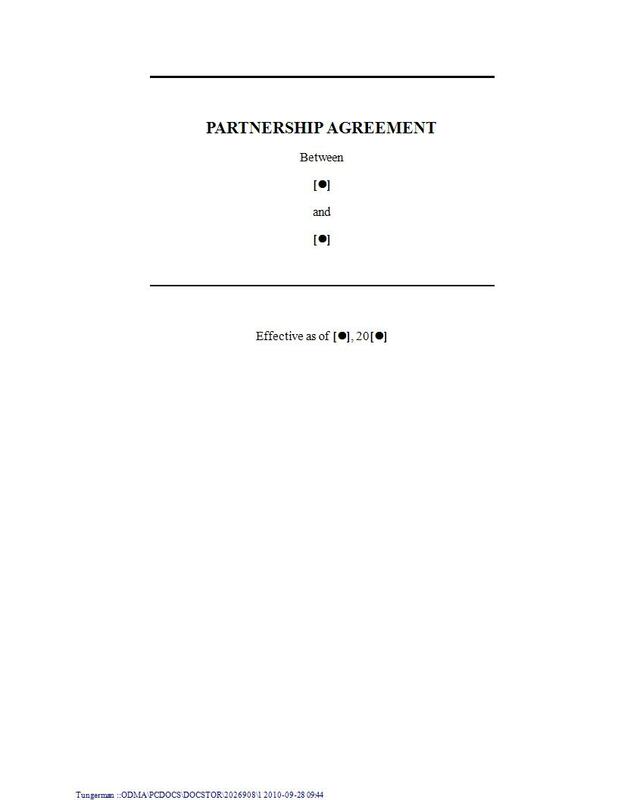 The agreement should have a clear statement how much each partner is contributing to the partnership prior to its opening. These contributions are usually the basis for the ownership percentage; however, this is not a cut-and-dried formula. 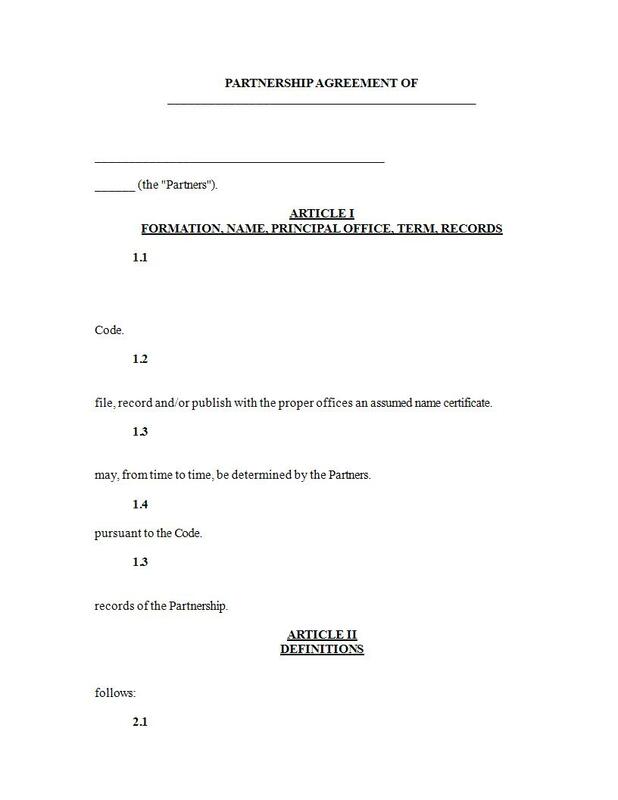 It should be clearly defined how the official ownership should be divided and the rights that come with it in your partnership agreement. How much authority should each partner have in order to make decisions for your business should be included in your partnership agreement. It is important to define what entails with those small decisions and large decisions. It should be stated clearly how much of a decision each partner has over the business in order to have a clear and defined roles for each partner. You need to include the agreed amount each partner has to contribute to the business. 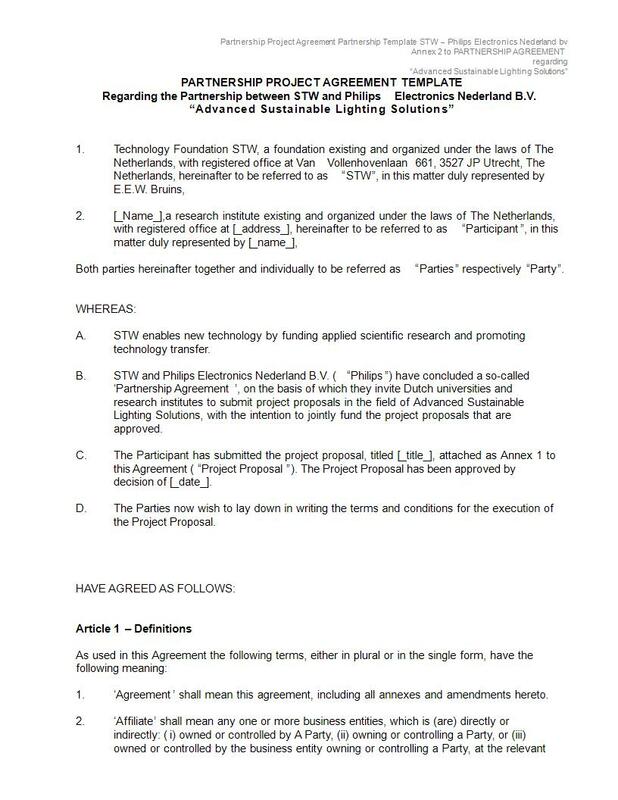 It should be stated in detail including not only financial contribution on the startup costs but also equipment and/or other materials that each partner has to bring into the business. 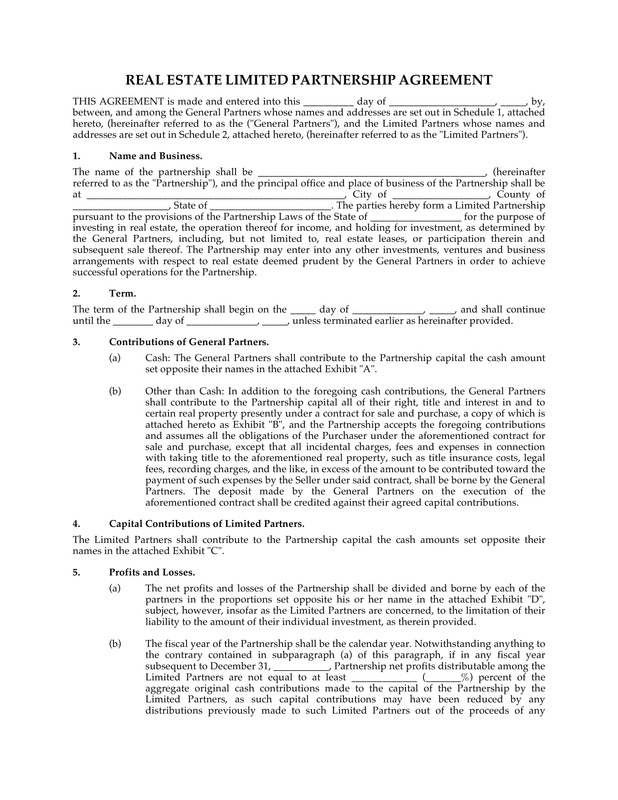 An inventory of these items each partner brings should be included on the agreement along with a complete description of how ownership will be determined should a partner decide to leave the business. The partnership agreement should establish how much work each partner has to do on a daily basis especially since not every partner will work full time in the company. You all need to decide what type of working hours each partner works, how many sick days or vacation days everyone can take, and whether partners can do business outside of the business interest. These things must be addressed in the partnership agreement so that disagreements regarding who worked the most and who has done less work can be avoided. The agreement should also clearly define how much will each partner be paid for the efforts and work they put into the business. It should also be decided how to allocate the profits and losses of the company. Should it be in proportion to each partner’s ownership interest or should a different formula for computing that be used? This part of the agreement will directly correlate with other aspects of your agreement, therefore, this should be decided early on. Although you wish and believe dispute will never happen with your partnerships because of your strong bond, there will always be a realistic possibility of it happening. Therefore, your agreement must define how you all plan to solve and address certain issues as well as what actions should be taken if all of you cannot reach an agreement or compromise. 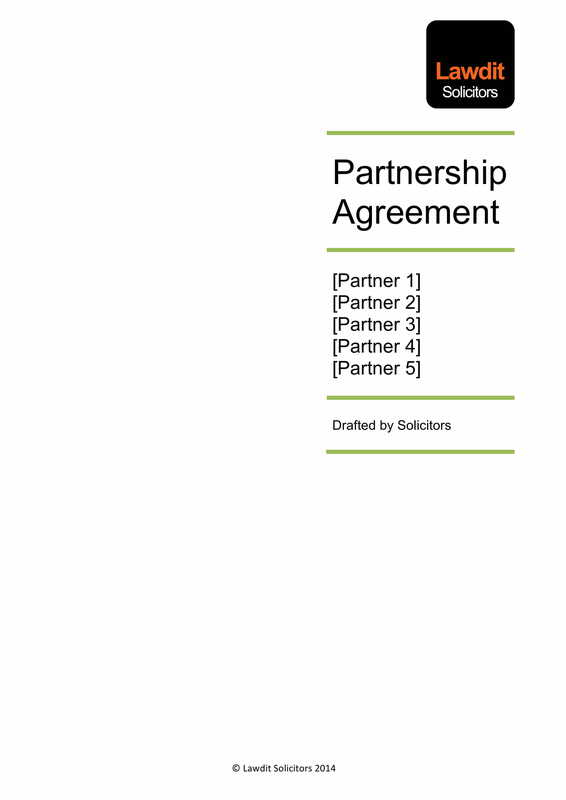 A mediation clause in your partnership agreement will be of big help for all involved in the partnership should any dispute arise. In order to manage this kind of situation, a buy/sell agreement should be used. This establishes an effective method whereby the partnership interest can be valued as well as the interest purchased either by the partnership or individual partners. Your agreement should clearly state what will happen to the partner’s share and interests in case of an untimely demise. Memory is unreliable and things you have previously discussed as partners can be forgotten in an instant. Therefore, it is always best to put whatever you have agreed upon in writing to help preserve or record all the terms and conditions you all have agreed upon before starting the business. 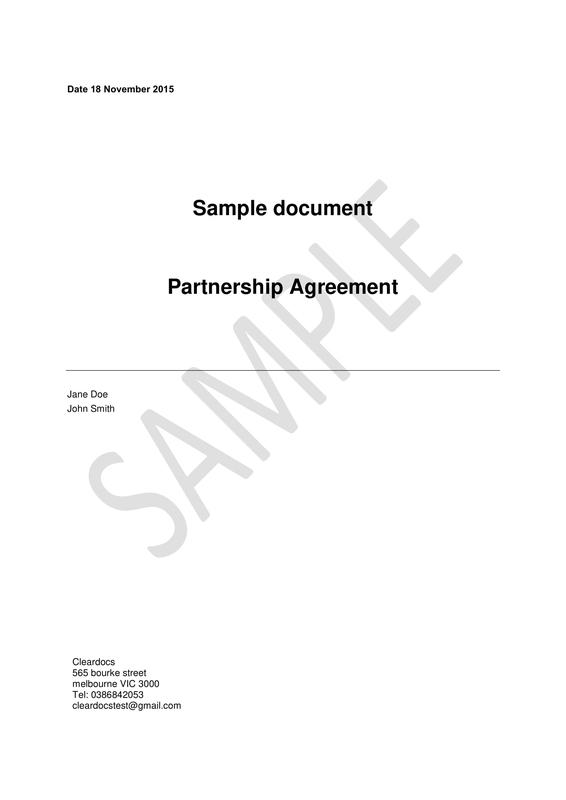 A written agreement can be used as reference in case you all need to discuss some important matters and can give clarity regrading how to operate in the context of your partnership. 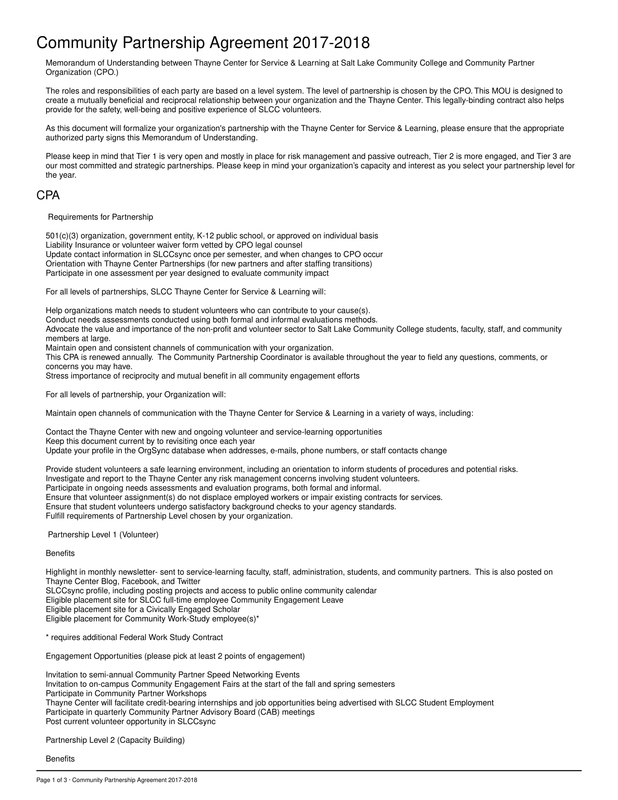 Specific job roles for each partner should be clearly defined in the agreement. It should clearly state how the work will be divided between all the partners involved. Also define and determine who gets to decide on different aspects of the business. This will help you all avoid false expectations and confusion in terms of specific roles and responsibilities for each partner. Finances are usually what causes conflict between partnerships. If you successfully and clearly define the financial contributions of each partner in the agreement, you will have a permanent record in case there are future disagreements. 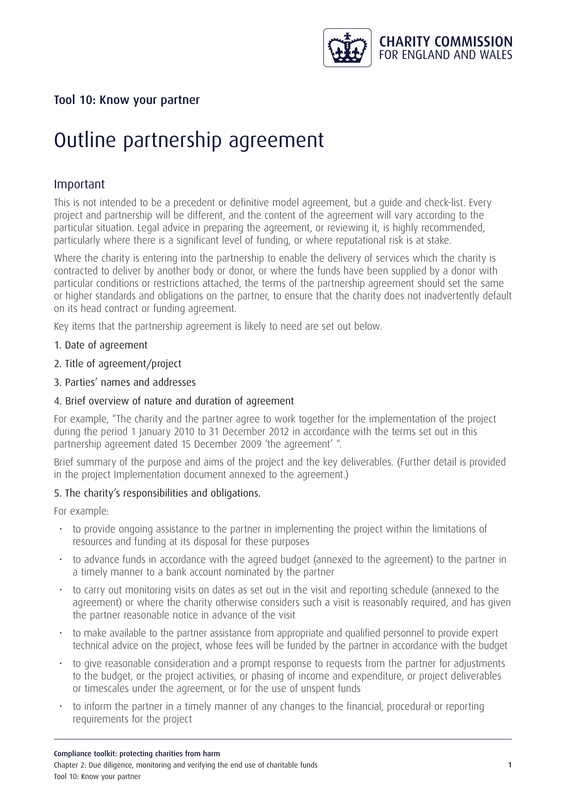 The sources for capital and the respective contributions required from each partner should be identified in the agreement. 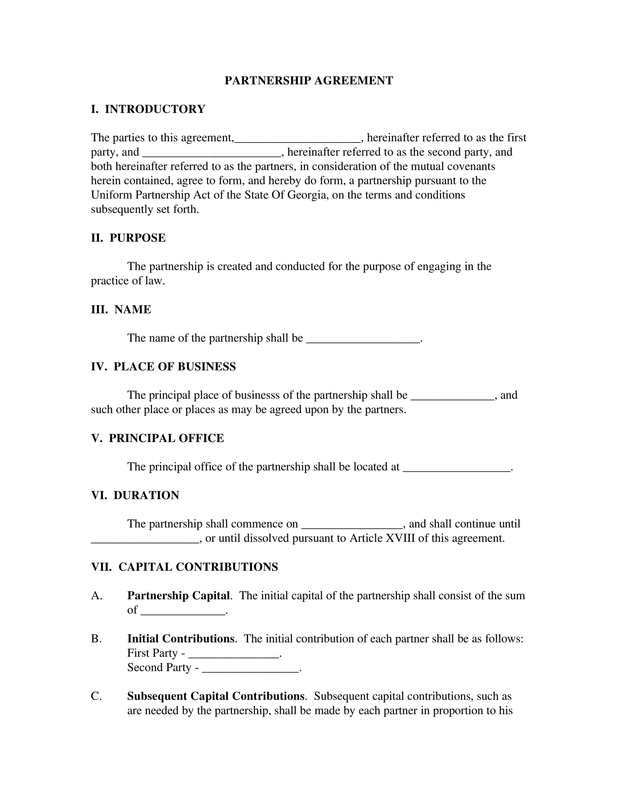 A definition on how the relationship will work should be included in the agreement in case one partner provides more capital and the other provides more labor. In should be put into detail how each partner will be compensated especially when the partnership does not make profit. How much each of you will draw from the profits and how often should be included in the agreement. In addition, an outline the percentage of the profits should be reinvested into the business should be included. It is better to include a clear outline on which resolution method will be used in case of dispute or disagreement. 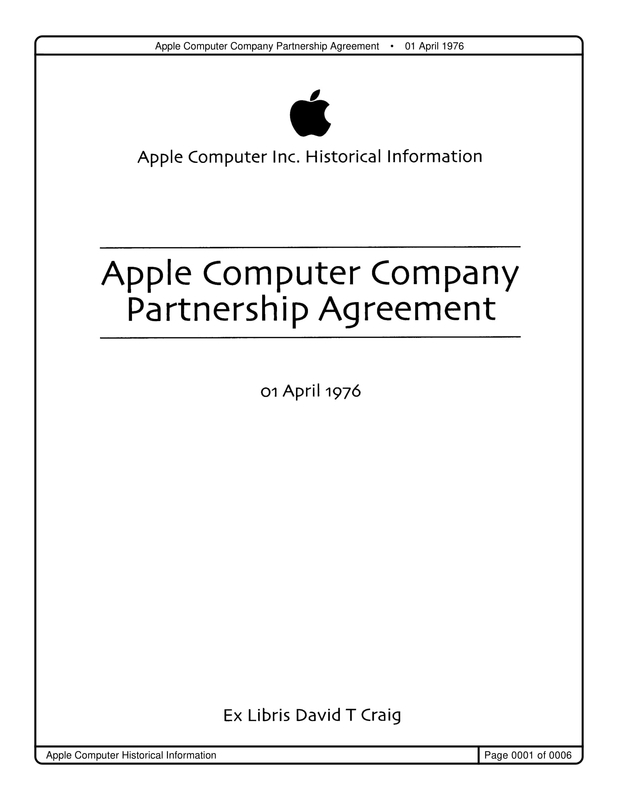 It should be established prior to the beginning on the partnership. You need to consider all possible solution in solving disagreements before you try to enforce litigation. Preparing for future disputes will help all of you further the damage when it occurs since you have already set out rules you need to follow. 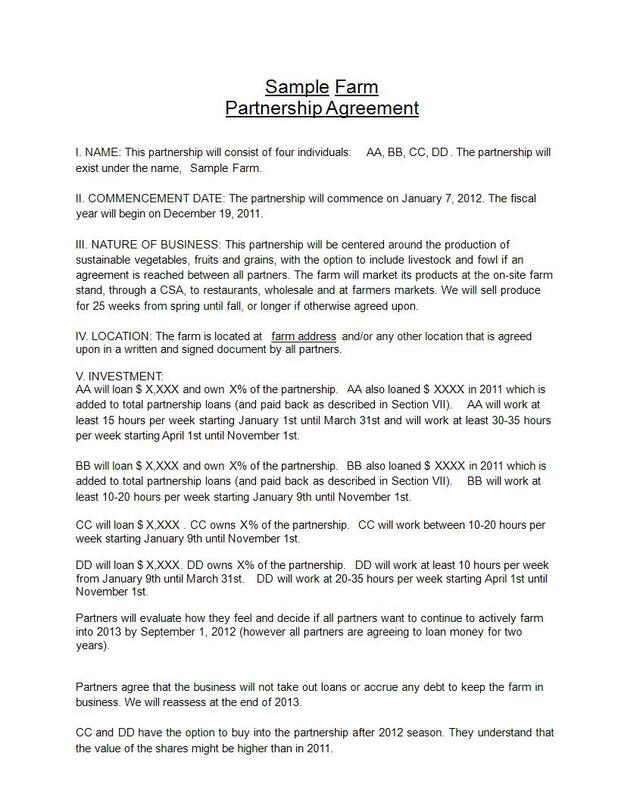 A partnership agreement is a necessary document you need to prioritize when starting a business partnership. It can save all the involved in drama and possible court disputes should there be any disagreement later on in the partnership. It can also help all of you to enforce your individual rights as an investor as well as protect the financial resource, time, skills, and effort you have contributed to the company. Moreover, it can also protect the welfare of the entire business and all that is part of it. 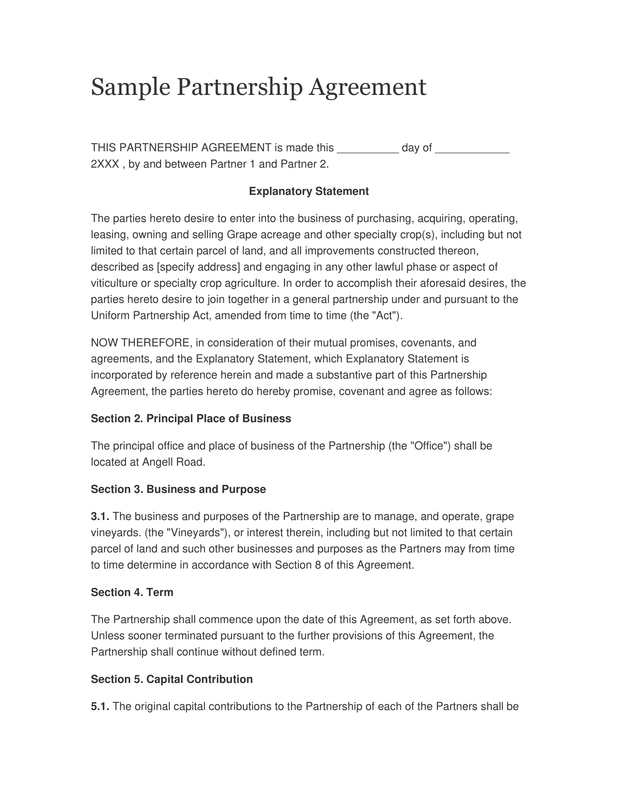 Therefore, a partnership agreement should not be taken lightly and should be one of the priorities in starting a business partnership, regardless of the nature of relationship you have with you future partner/s. 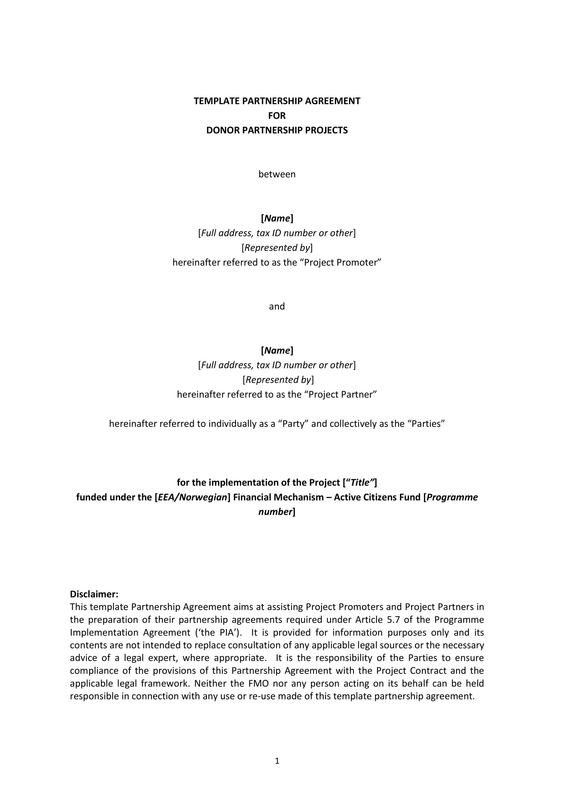 We hope you find this guide about partnership agreement as well as the given samples useful.